If I had to wager a guess, I would say that 90% of the riding I’ve done on the purple Pugsley has been on dirt. This is diametrically opposed to the M.O. of the fatbike. The fatbike came into being as a solution to all of the non-dirt surfaces mountain bikers wanted to ride. And yet, here I am, rolling 4″ tires on dirt, roots, rocks, gravel, and otherwise solid ground. 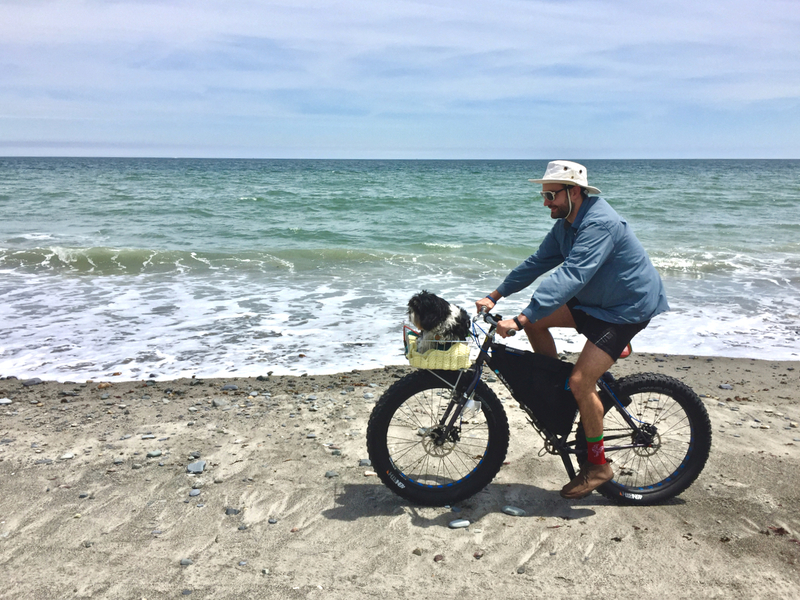 This memorial day weekend, it was with great delight that I put the fatbike to task on one of the surfaces it was built for; beach sand. Hull, MA is probably the closest thing I have to a home town. We moved a few times when I was younger, and my grandparents recently sold the house they had been in for 50 years. Our family beach house, passed down for three quarters of a century, is a little slice of paradise on the South Shore of Massachusetts. Hull used to be quite the vacation destination. Paragon Park was a big draw for Bostonians for most of the 20th century, but my childhood took place in a much quieter post-Paragon Hull, with nothing but local residents and quiet streets. 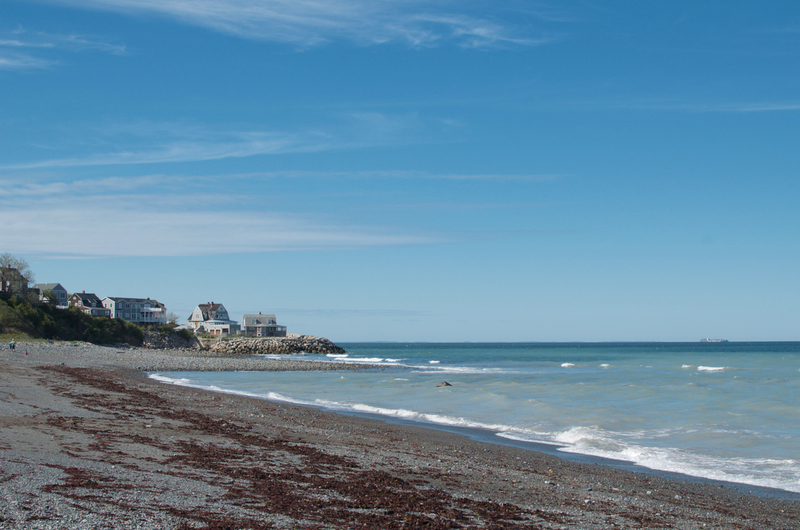 The town is seeing a bit of a revival in the last decade or so, and lots of hotels are opening up on the strip of land known as Nantasket Beach. The private town beach further north is still mostly secluded. On an early season May afternoon, I had the whole beach to myself. 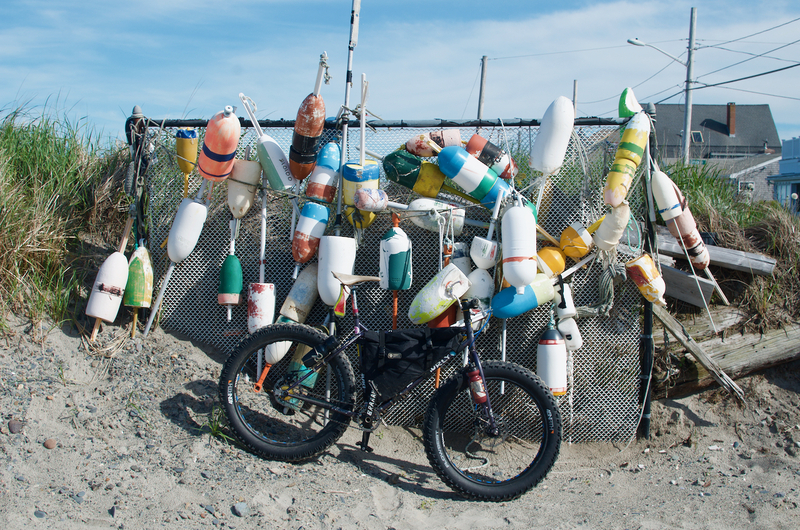 Last summer, I had the Pugsley in Hull for a month, but I had the 29+ wheels the entire time. For this trip, I broke out the full-size snow tires, 4″ in the back and 4.6″ in the front. With the pressure dropped down low, the bike made short work of everything. 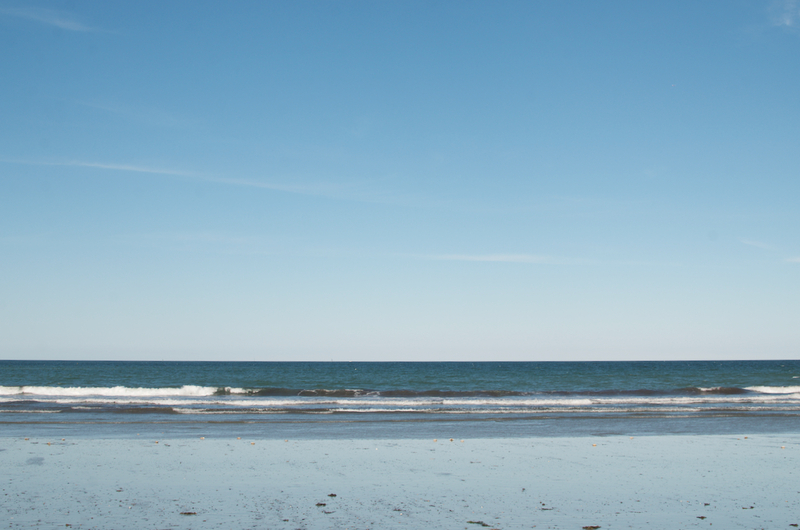 Downtown’s Nantasket Beach is very heavily managed, so it’s mostly sand and seawalls. 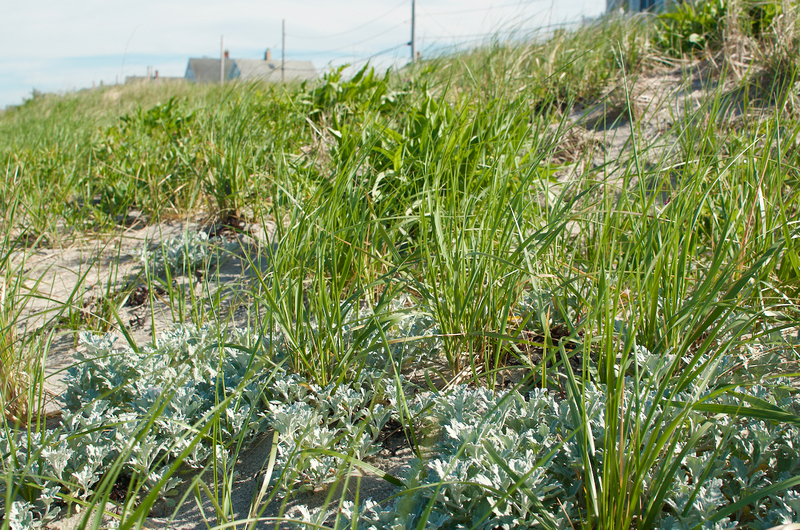 The town beach is a better representation of the South Shore’s natural coastline, with idyllic natural dunes and dune foliage, nesting areas for seabirds, lots of rocks and shells and seaweed, and some good sand closer to the low tide line. I went about mid-tide, and enjoyed the whole smorgasbord of riding surfaces (except the dunes, of course). 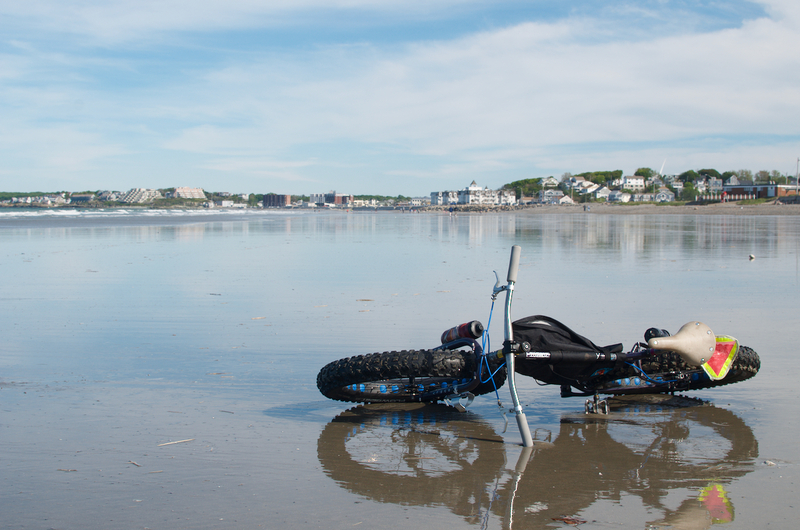 As the tide let out, mirror-smooth sand flats stretched out towards the ocean, a real treat to ride. Put a foot down, and you sink almost immediately below the surface like quicksand. Distributing your weight over a pair of fatbike tires makes traversing the flats much easier. I could coast over the flats with no hands, cruising at an easy pace, almost like smooth pavement. The sand offered almost no resistance to my wide tires. With a few friends down for the Memorial Day weekend, we visited the beach a few times. I even threw on my basket and gave a harnessed-in Teek (namesake: Star Wars) a cruise, which he either enjoyed or absolutely hated. It was hard to tell. Over the course of the weekend, I put down more beach time than this bike has seen in the year and a half I’ve owned it. 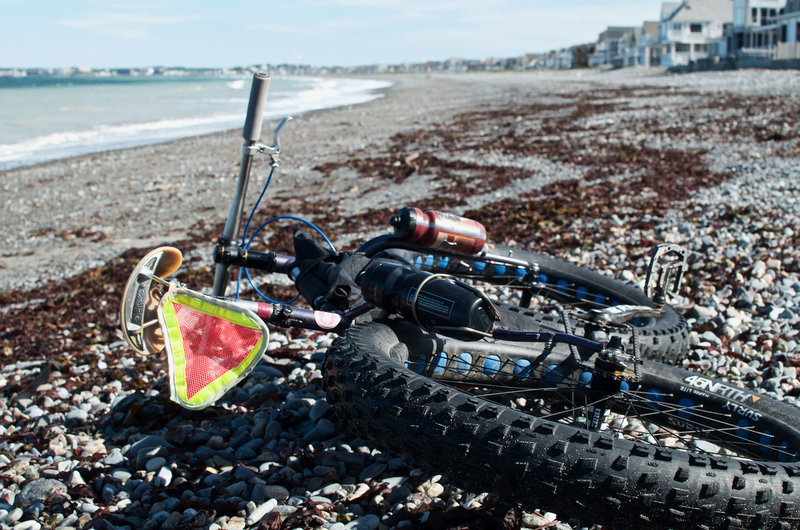 I couldn’t help but think about all the other beach bikepacking opportunities out in the world. 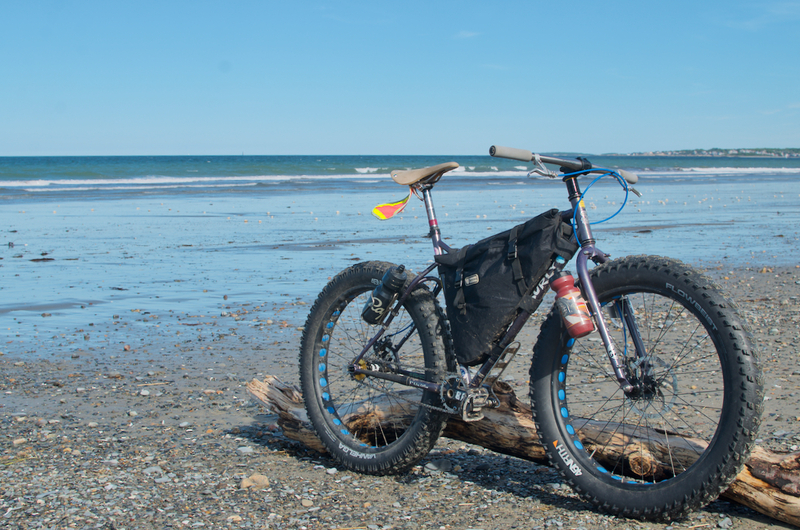 Nantasket Beach breaks up after just a few miles, but the inaugural crew for the Baja Divide enjoyed hundreds of miles of natural beaches last winter. Our friends Saska and Przemek have biked most(all?) of it, and judging by the Instagram feeds I’m avidly following, there are a lot of new friends I’d like to ride with on that route, too. Kelley and I can’t wait to join the party. For now, though, Hull scratches the itch. Biking the beach I grew up on offers it’s own kind of reward, right in my backyard. 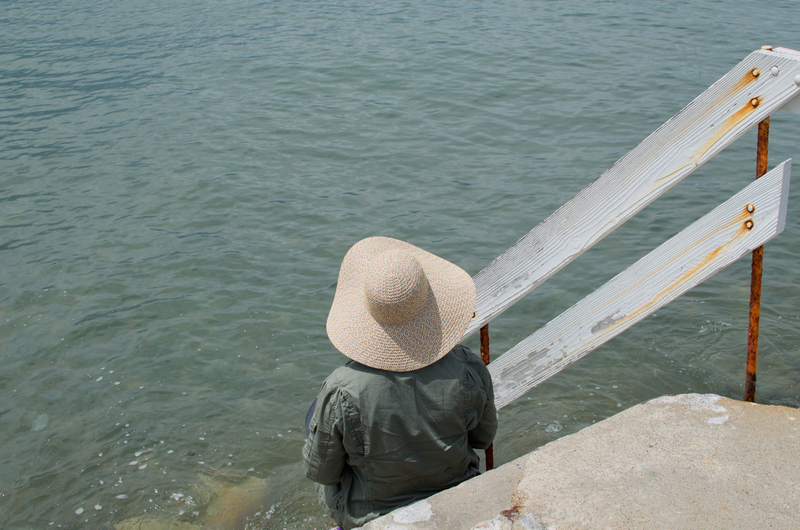 Nostalgia, relaxation, and a few chunks of driftwood to bunny-hop along the way.